Hope you’ve enjoyed the Chanukah week, celebrating with friends; family and your communities! As the New Year approaches, and many people are making New Year’s resolutions, at Yesod we are thinking more about the Jewish value of questions. Whereas resolutions fix actions in a particular direction, questions open us to multiple and new ways of thinking. Since G-d’s first question to humankind, “Ayeka – Where are you?” relating to Adam and Eve (see below), Jews have thought critically about the choices they make and the life they lead. Asking questions does not mean we find all the answers, but it does mean we will be on the path to becoming wiser. Questions are potentially very powerful as they can build people up, create teams, solve problems and enhance programming. 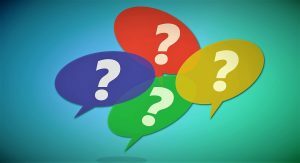 What type of questions do you use in your work? We can see some great examples from the Torah when Adam and Chava (Eve) ate from the tree of knowledge of good and evil. G-d used open questions that allow for much longer responses and more creativity and information – Where are you? By contrast G-d also used closed questions that invite short focused responses that are usually easy to answer – Who told you that you were naked? Did you eat from the tree? To better understand different kinds of questions such as open/closed, probing, empowering, chunking, funneling and more, visit Changingminds and the Harvard Business Review. The following Eli Talk by Aliza Klein, founder of OneTable, explains how when she asked the right questions her organisation and programmes benefited. We also invite you to gather your colleagues and community members for a study session focused on the Jewish practice of questioning using our Yesod source sheet. The source sheet was created using Sefaria which is a great place to find texts in Hebrew and English, and easily create source sheets. Feel free to copy, add to, or delete from, our source sheets to create materials that work for you. During the heart of the winter season there is a less well-known Jewish fast day called Asarah b’Tevet (literally ‘the 10th of Tevet’), which marks the beginning of Nebuchadnezzar’s battle against Jerusalem which would result 11 years later (in 586 BCE) in the destruction of the first Temple, and the 70 year Babylonian exile. It is a ‘minor fast’ that means that the fast goes from sunrise till nightfall. This year it is on Thursday 28th December. Learn more at MyJewishLearning. Also, with Tu B’shevat coming up on 31st January, check out Yesod’s Tevet resources, called New Years and New Resolutions that is filled with great programming ideas for Tu B’shevat. View Resource of the Month Archive for resources posted in previous months.